Season Ends & Spring Training commences! Now the season has ended I have been thinking about how my picking up season has turned out. This year was the first in many that I only had one dog fit and ready to work, as a result I had to alter my strategy somewhat with the shoots I work on. 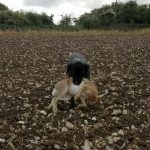 My fellow pickers up were very supportive of the position I found myself in and stepped up to take my place where more than 1 dog is required to cover certain areas of ground. 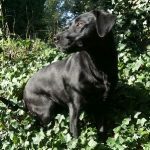 I am pleased to say that ‘Tess’ my young Labrador, who only turned 2 in late November has been great, ably developing experience and confidence over the 38 days picking up she has completed this season and carrying out some brilliant retrieves including Pheasant, Partridge, Duck, Woodcock and Hare. It really made a nice change to concentrate on just one dog this year and ensure her progress was nothing short of careful management. The 4 shoots I regularly attend include bags that range from around 50 and up to and in excess of 200 so lots of opportunity to build competence with careful guidance. The only sour note was Tess’ collision with the barbed wire fence whilst hunting down a runner resulting in 4 stitches to her brow in mid January. However, she recovered quickly to finish the last 2 days of the season. Now the time has come to push Tess on in preparation for the series of Spring and Summer working tests and build on the awards she gained last year in ‘special puppy’ category. I hope to be able to get her to the required standard to achieve awards in Novice category this year and hopefully have her to ‘Open’ dog standard by the time next shooting season commences. She enjoys training so my plans look to develop her abilities to match what I believe she needs to improve on. Her water work is very good already. 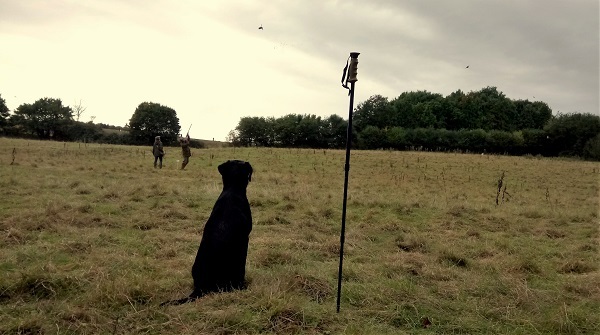 She retrieved 2 pheasant blinds on our last shoot day from water, having to be pushed back through dense dry reeds and swim out onto open water, both in view of a collected gallery of guns and beaters resulting in warm comments for good work. So all in all a positive season with more training to come if Tess is to meet the potential she is capable of. I hope your season went well and have planned ahead accordingly for training in the coming months as the days lengthen and get warmer!